This idea belongs to the inner cult of all ages, and in the secret teaching there is this teaching about the word that was lost. Very few at present know, or at least seem to know, the meaning of it. There is not much difference in belief between the mystic and the materialist; there is very much difference in the ideal. For instance, the scientist, the materialist who seeks for the source of the whole creation comes to the same conclusion, that there is only one source of the life of variety, the composition and decomposition of atoms. And both the mystic and the materialist come at the end of the path to the same thing, truth. It is chiefly in the ideal that the two differ. The materialist thinks all this consciousness and intelligence that one sees in man is the natural development of life. Whether it is the consciousness of the rock or the stone, of a tree, of a plant, or the consciousness of man, all is the same. The mystic says; "That is not so." The consciousness and intelligence are the same as the unlimited consciousness or intelligence, only they are put in different channels, and from that intelligence that existed in the beginning the rest has come. Picturing the unlimited consciousness or intelligence as the ocean, the consciousness or intelligence of man is like a drop compared to the ocean. Therefore the materialist sees the intelligence of man as the natural development of humanity, while the mystic sees it as the divine essence, as one, as the source of all things. In the belief of the mystic it is not only man that is seeking for something, it is the plants, the animals, even the rocks and mountains: all look for something. Man who analyzes life, distinguishes one object as a thing, another entity as a being. This way divides life into so many aspects, so many things, but in reality it is one. Therefore he sees intelligence in living beings only. But though it is especially developed in man, there is a mind also in animals, in plants, in a tree; each mind is a particle of the unlimited intelligence. Often an animal thinks more than man, only one can say that an animal is not so much developed. According to the mystic mind exists also in plants and trees; in rocks and mountains mind is hidden somewhere. Mind is working in all things imperceptibly, in all things that man only recognizes as objects. Comparison between two minds shows a vast difference between them, but it is difficult to define it. Some will have experienced in life how plants often respond to influences, especially to the human beings around them: how they often wither in a home where there is distress or disturbance or disharmony, and often live longer where there is harmony. And when their owners understand plants, they become responsive to love and harmony and sympathy; often plants feel the absence of these qualities. The condition of a person's mind can be seen in its effect on the plants in his surroundings. The human being is so much absorbed in his own affairs that he sees no further than he sees. Generally mankind is too unaware of the condition of others; very often man does not know even the condition of those who are near and dear to him. If it were not so, there could not be some nations happy and comfortable while people in other countries are starving and dying by millions. This can be see in the ancient fables. There is a fable which tells that there once was an argument between a man and a lion about whose life was more important, man's fate or the lion's. When they voted, it proved that each had said his own was more important. This fable proves that the reason is that man is unaware of the secret of his own being: what he needs is to interest himself in the life of the beings in another phase of evolution before he can come to the fundamental basis, the consciousness of his own being. If you have every been far away in the forests or the mountains, far away from all population, you will know that there comes, consciously or unconsciously, a feeling of romance: the wind that repeats the sound that comes from the trees and the rock, the murmur of the water running, all are wanting to get back something that has been lost. This feeling comes to human beings even in the pleasure of everyday life. Then there is a joy that opens something in us, then there comes this yearning; and that feeling one feels on every side in the wilderness, in the forest. There comes the feeling of longing, the deep yearning of the heart, the searching for something that has been lost. When we look at the beings living around us, we see the same thing. For instance, look at the birds and contemplate their restless flight, the ceaseless roaming of animals in the forest. The first thought that might come is that they are searching for food. But he who has a deeper insight into nature certainly will feel the restlessness sooner or later, the searching for that which is lost. There is the same tendency in human beings. Although the human being has much interest in life through his various occupations and various moods, he finds a thousand and one excuses for his restlessness, for his depression. And illusion is so much developed in man that a reason always comes at his command. There is always someone that will say to a poor man, "It is sad for you that you are not rich." Someone comes and says, "You look depressed. I know there is so much sorrow, that is the reason." But reason is always at his command and is employed without, and so man cannot find the real reason that is within. That reason is suppressed beneath all the reasoning, and man seeks more than the animal kingdom does to get back something that has been lost. Nowadays life never gives man a moment to be quiet that he might have time to ponder upon the true cause of his constant unhappiness. Also it keeps him in an illusion, always looking outward, and he can never find the cause outside himself. It is as if he were looking for the moon on earth, though the moon is in the sky. But then you may ask, "What has man lost?" And the answer is God Himself. That perfect intelligence that is in every being, that intelligence that the Vedanta calls "Light." The verses of Quran say, "God is light, Nur," which means that the light of God is immanent in the world of names and forms, in all that exists in this world of variety. In this world of variety different forms of activity are producing different results. And man in this life of illusion has yet the same intelligence, which he can realize in its perfection in that state of consciousness where he can be aware of his own perfection. The religions, the mystics, the philosophers of all ages give the key to the secret. That is what the Sufi Message is bringing back to humanity. Christ has said it so beautifully: "Be ye perfect, as your Father in Heaven is perfect." And the yearning of every soul is for the realization of that perfection that is the longing consciously or unconsciously of everything, of every being in this world. There is one thing in the whole creation which is like an alarm clock, set for certain time to make a sound so that one may awaken. That clock sounds through all the activity of evolution, and when this is touched, man is wakened by the alarm. That was the word that was lost, and it has its echo in the longing. And now you will ask, "How can one listen, how can one find it?" That word rises from one's own heart, re-echoing in everything in this universe. If it does not rises from one's own heart it cannot be heard in the outer world. And you may ask, "What is the sign, what makes it rise? Who can hear it?" And the answer comes, "As soon as this word rises in your own heart, you touch God, you touch perfection. And then one begins to understand the divine tongue; the secret that was closed for so long seems to be revealed." Ancient stories, the stories in the Bible, tell of men speaking with trees, with running water; of sounds coming from the rock. A man without patience will not stop to listen. He hurries on; he is ready to laugh at such a thing. But there is nothing surprising or impossible in this. This world which is around us resounds continually the inheritance of man. It is a true picture. The word re-echoes in all things, only man must be aware of his privilege, of their underlying oneness. The whole treasure of the universe is in the understanding of the mystical idea. Friends, this lack of religion, this increasing of materialism, by what is it caused? It is caused by the lack of knowledge of religion; it is the spirit of religion that is lost. Mankind cannot be tuned all one way. The form does not matter, it is nothing without the spirit. What is wanted? What is wanted is to understand each other's faith, to respect each other's ideal, to regard that which is dear to our fellow man and to the other creatures. The attempt to make the whole world believers of one faith would be – if it could succeed – as if all men had the same face; it would become a very uninteresting world. The work that the Sufi Message has to accomplish, therefore, is to bring that idea of the mystics: that it is the spirit, not the form, that matters, and that one should leave the belief of others out of the question. To understand their belief, to come to the realization of the word that was lost, the seeking of every soul, that man may be enabled to respect that picture of oneness, and so to hear the word that was lost, to hear it sounding again in his own heart. If you are the master of a great factory and all the machines go by your will – when you come home, are you happy, restful, and peaceful? You may be the master of a whole army, or of a whole nation, or of many nations – when you are at home, are you peaceful and happy? No. This shows us that another mastery is needed. One man may be the master of a whole army, and if he has a stroke of paralysis, all his mastership is gone, and he can do nothing. This shows us that this mastership is very passing. The mastery of the self is needed. It is not more difficult than the other. But as much will, as many years as a man gives to be master of a factory, he will never give to this. Because the results are much less tangible. A factory means so many pounds tomorrow. The results of the other are much subtler, much less perceptible. The mastery is taught to those who are born to be masters, to those who are inclined for this way, by repose and by the control of the activity which keeps every thing in this universe in movement. This mastery is very difficult to gain in the world. At every step it becomes more difficult. But you cannot run away to the caves of mountains. You must stand where you are. If you ran away and lived in the caves of mountains, the attractions of the world would draw you back again. The taste which has been used to different food and nice food would not be satisfied with the leaves and fruits. If you read the life of Shiva, the lord of all the yogis, you will see that after a long, long time – sixty years of yoga – he was tempted. Rishi Vishnamitri after forty years of yoga in the wilderness was tempted by the fair ones from Indra, the decree of whose court has always been to hinder the advancement in spirituality of the rare ones. Though Machandra was a very great yogi, he was tempted and taken away from the desert by Mahila, a Hindu queen, to her court, and there he was married and made a king, and among the flattering surroundings and luxurious environments he lost all his great powers achieved in the heart of the wilderness. It is easier to gain mastery in the wilderness, away from all temptations, but the mastery that you gain in the world is of much more value. The former can be upset by a slight stroke, while the latter, achieved in the crowd, will last forever. It is very difficult. When you are thinking of God, someone comes and says, "You did not come to my birthday party yesterday. That was very bad. Now tomorrow there is the wedding of my brother, and you must come." Now you are wanting to think of God, and the thought comes, "What present could I take?" You are sitting in your meditation, and someone comes and says, "You must come to the dinner at the club. Many interesting people will be there, and you must come." The world will always be calling you away, because whatever a person does, he wants to take his friend with him. If he gambles, he will say, "Come, we will gamble, we will enjoy together." If he drinks, he will say, "Come on, drink with me." If he goes to the theater, he will say: "Come with me. We will go to the theater. We shall enjoy it." So the world, busy with its selfish, unimportant occupations, will surely drag one toward itself. This can only be overcome by the will. A person must have a will, and he must have confidence in his will. This idea is pictured by Hindu poets as a swimmer swimming against the tide. They picture the world as "bhava sagara," the sea of life. And the swimmer in it is the mystic who attains to perfection by swimming against the tide and arriving in the end on the shore of perfection. In all our business and occupations we should keep our thought fixed on God. In Italy you will see that at every corner of the road there is a statue or a picture of Mary with Christ. It is put there to remind people, to keep their thought on God. In Russia I have seen in every house the picture of Christ and Mary. In India I have seen a merchant sitting in his shop with his goods and his money and his accounts about him, and in some place there is a little statue of a god or goddess. In the Islamic countries, where there are no pictures, they perform the namaz five times a day, bowing to the ground and repeating the names of God. Someone once came to a friend of my murshid and said to him; "Every time that I am at my practices and I wish to think of God, a thousand thoughts come and I cannot think of God." He said, "Why is that?" He said; "Because I cannot control my thoughts." He said; "You recognize another than God, you do not recognize God. You do not think that whatever comes before you is God and nothing but God, but you think that only God is God and all other is other. But you do not know there is no other than God. Whatever comes before us we should recognize as God. Whatever thought comes, we should say that it is nothing but God. Then in all our business, whatever it is, we shall see only God." Our mistake is that we take the responsibility for the sake of the responsibility, and recognize our cares and our business, losing the thought of God. 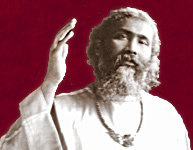 The Sufis, in order to awaken their group to this idea, considering their life as a journey toward the spiritual goal, recite; "Hosh bar dam, nazar bar qadam, khalwat dar anjuman," meaning; "Let the breath be God-conscious at each swing; watch thy steps and realize who walks, keeping thine eyes lowered that the tempting world may not attract them; realize thyself alone amidst this crowd of the world of variety." Q. Is a busy life in the world a hindrance or a help on the path towards spiritual perfection? A. The life in the world, which brings a person into contact with all sorts of undesirable people and affairs, makes spirituality more difficult; but at the same time it affords a test of the will and the spirituality. You may be more spiritual in a cave in the mountains, in silence and in solitude, but there you will never be able to test your spirituality, whether it is strong enough to bear the contact of the contrary vibrations. To be ready for all responsibilities and all activities, to have family and friends and cares, to pay attention to friends to serve friends and enemies, to say to the worldly person, "I can do all that you do, and more than all that you do;" and at the same time to remain spiritual, this is the greatest spirituality. To be without cares or occupations may make spirituality easier, but when the mind is not occupied, very undesirable thoughts and desires come. It is mostly those who have no work and no occupation who lead an undesirable life. Those who have an occupation or who have a master whom they must please have less opportunity of following what is not desirable. It is the natural tendency of every human being, when he is in a difficulty, to seek guidance, to ask the advice of someone, either of an elderly person or of some friend or relation. People even ask of fortunetellers. However proud a person may be, if he has the opportunity of asking, he will ask as a joke what will happen in his life. There are two things: intelligence, the faculty of knowing; and the knowledge that has been acquired and stored. The intelligence is capable of knowing, but it has no knowledge; the knowledge is gathered from without, from all the experience of the world and of life. Every individual has his accumulated store of experience, and so has every family, every nation, and every race. And it is this store of experience that is the stock of knowledge of that family, nation, or race. Therefore we say that this nation is like this and that nation is like that. The guidance from the outer knowledge and the guidance from the inner intelligence are both necessary. If the inner light were enough, then man would never have been created; he would have been an angel. This is explained in a story in the Quran, in which it is told that when God intended to create man He first told the angels of His intention. They said, "O Lord, why wilt Thou create this being, who will shed blood and cause destruction on the earth? Are not we enough to praise Thee and serve Thee? We are everlastingly occupied in Thy praise and service." Then, when man had been created, God asked him, "What is this and this and this?" And he knew the names of all things, of mountain, tree, and stream, and all things on the earth. God said to the angels, "Do ye know the names of all these things?" And they were obliged to confess, "Lord, we do not know the name of anything on earth. We know only Thy praise." The meaning of this story is that experience on earth is needed to acquire knowledge. Without it, only the capacity for knowledge is there. If a man wishes to become a doctor, an architect, an engineer, a poet, a musician, and he studies and acquires all the knowledge of the science or art but does not seek the inner guidance, then he will have all knowledge of the rules, but no inspiration, no gift, no power. The contrary mistake has often been made by mystics, who have thought that the inner light is enough, the inner knowledge, without any learning of the external world. There was in India the great poet Kabir, who came of a family of weavers and spoke the language of the weavers, which is full of the commonest expressions. His book is written in that language and with those words. I do not know how he would be appreciated in the West. In India, where they have always had a great esteem for the people of high knowledge, it is held to be as one of the great blessings of God. The secret of the inner guidance is that on whatever the desire of the soul is fixed, to that the way is cleared and all hindrances are swept aside. If you unswervingly desire anything or to become anything, that you will become. Whether you desire to become an angel or a deva or to be at the feet of God or even more, that you will become. Whatever the self desires, that is its destiny. Therefore one person thinks; "I should go to the war; I should give my life for my nation," and that is his destiny. And another thinks, "I should not hurt even an insect; I should lead a most harmless life," and this is his goal.